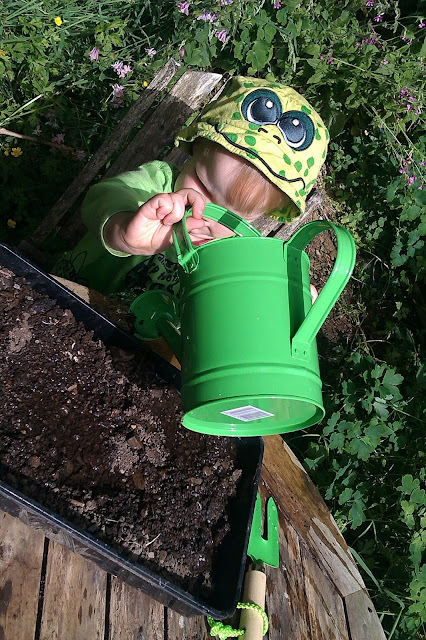 Bug was more than a little excited about getting outdoors with his new gardening kit from BritMums and MoneySupermarket.com for the #KidsGrowWild challenge. 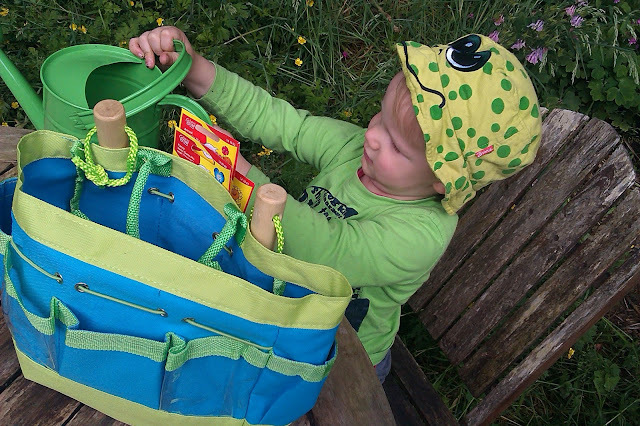 With his gorgeous gardening kit to hand we headed out to the garden to start on our plans for green fingered fun. 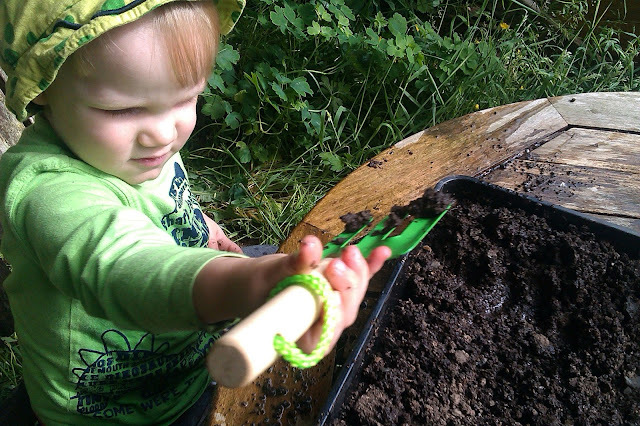 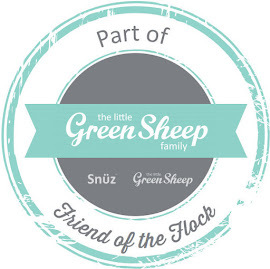 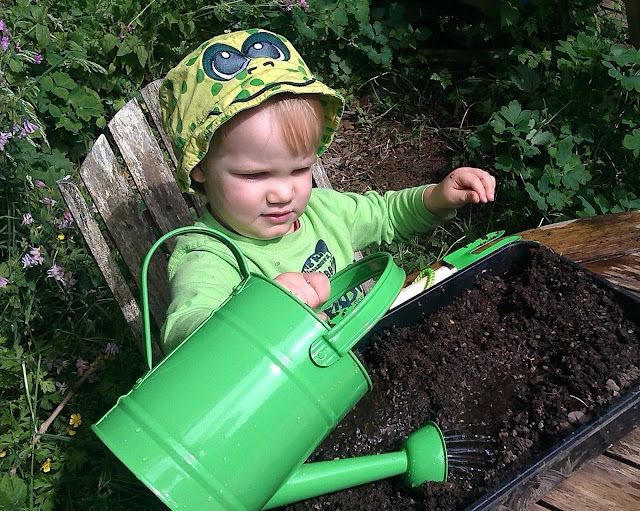 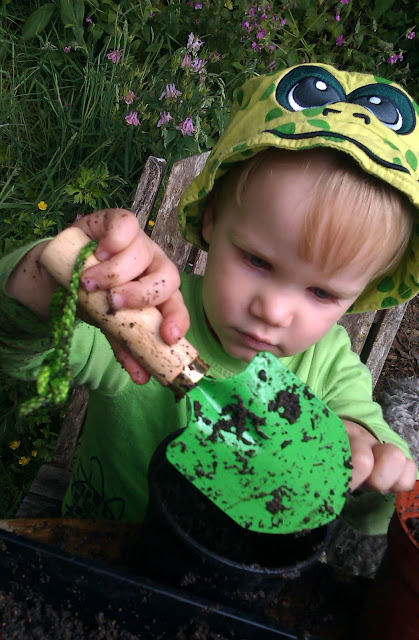 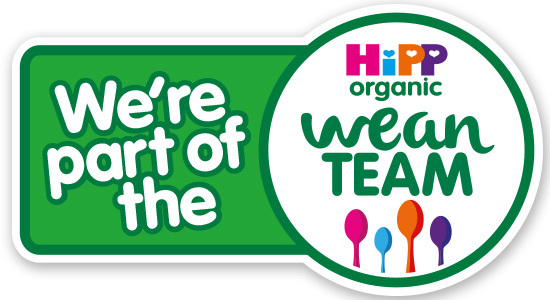 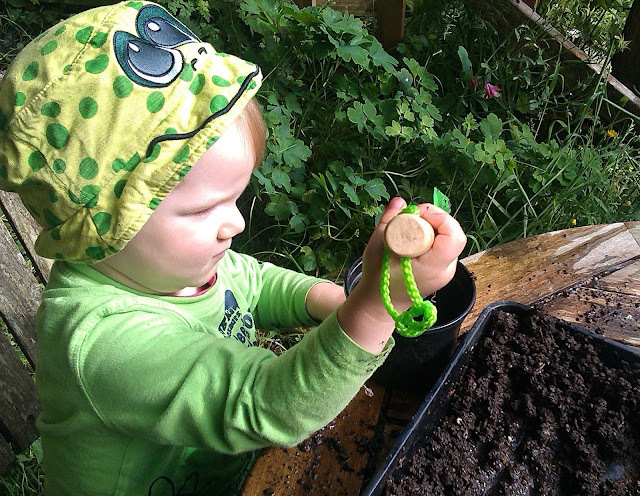 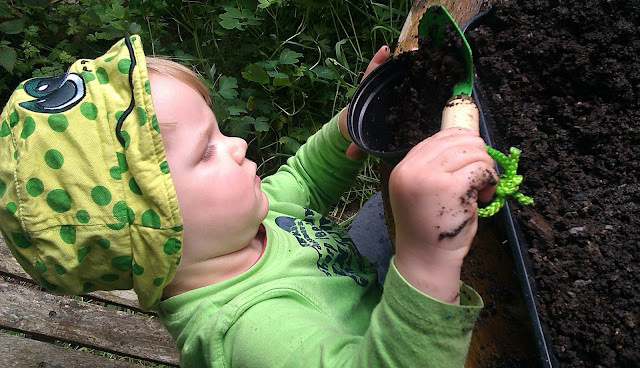 The gardening kit is uber cute and perfect for little gardeners with little hands. 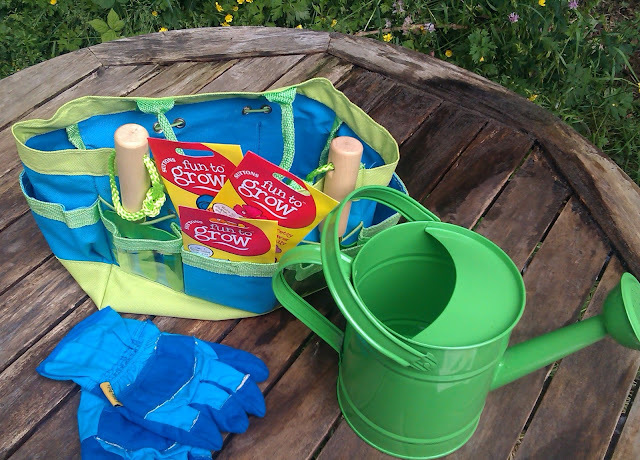 Inside a sturdy gardening bag was a little green watering can, packs of lovely flower seeds, a pair of gardening gloves, a trowel and a fork. 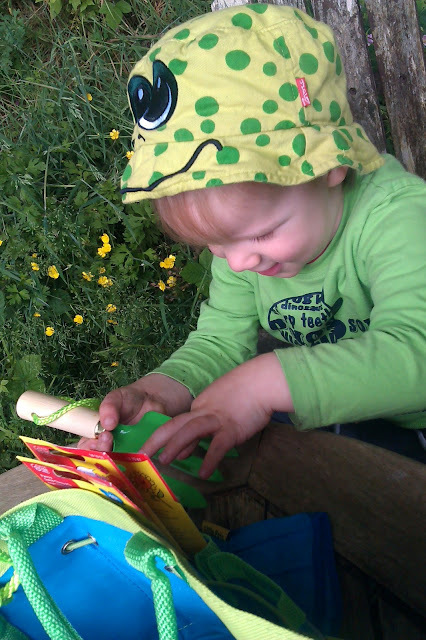 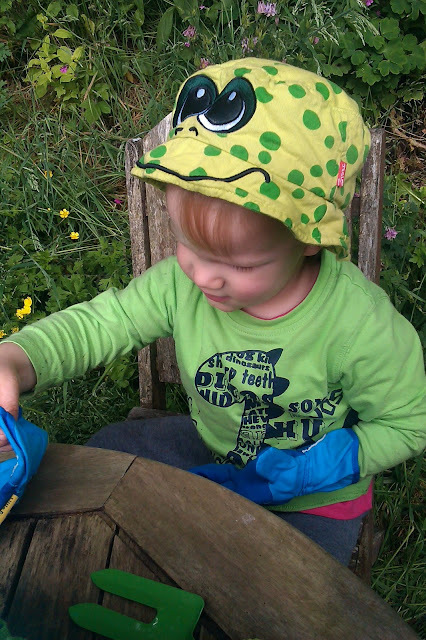 Bug was delighted with his new gardening kit and was keen to take a look at his special new gardening tools. 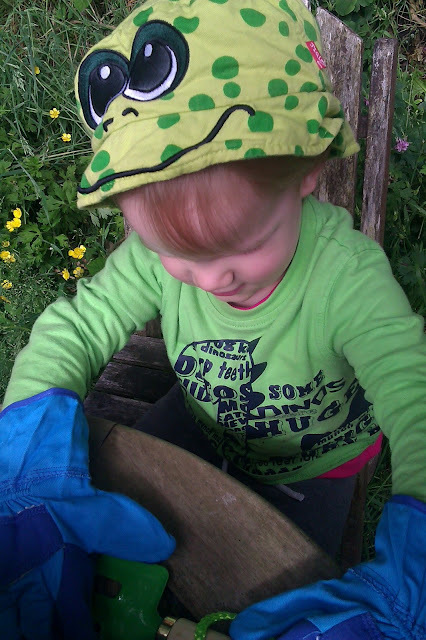 He was especially interested in the watering can. 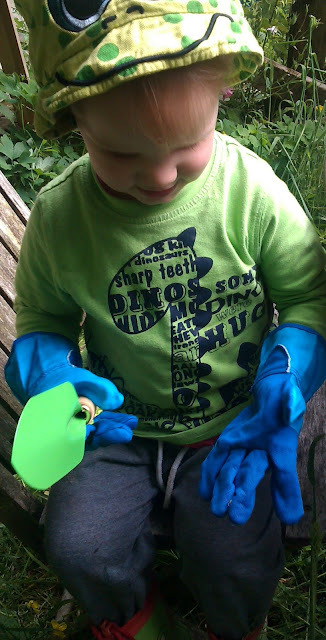 Bug loved his new gardening gloves and even though they are a tad too big for him now they will be perfect for green fingered fun when he is a little older and his hands have grown. 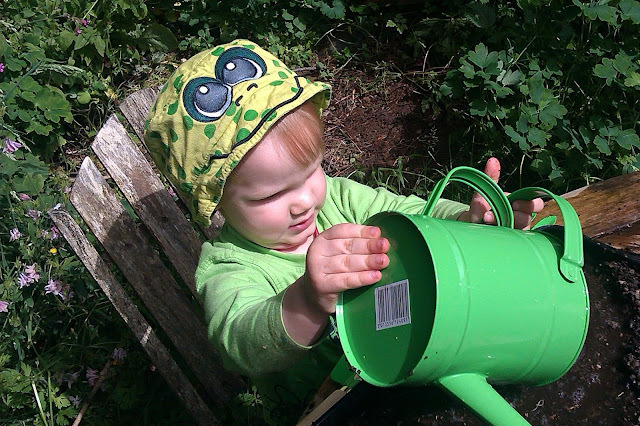 Bug being Bug he loved the watering can where he could combine his love of water fun with getting messy as he showered the soil with water from his new green watering can. 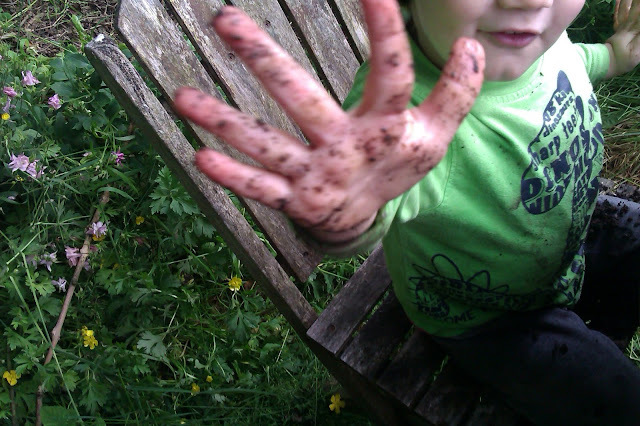 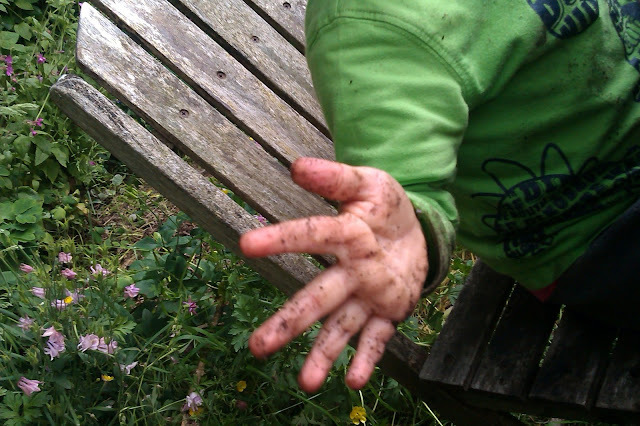 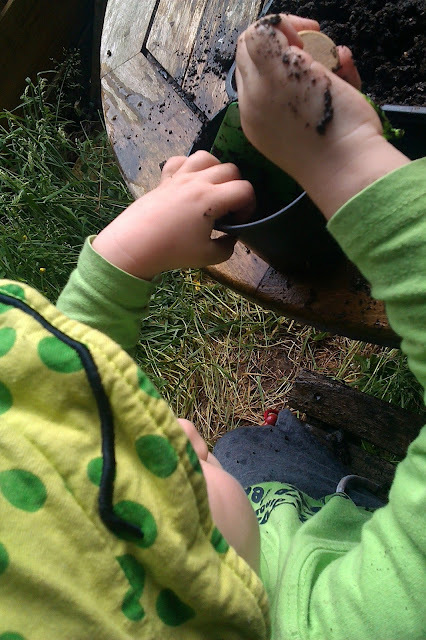 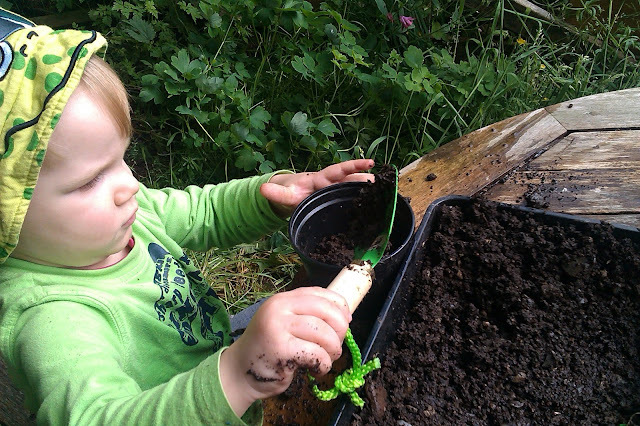 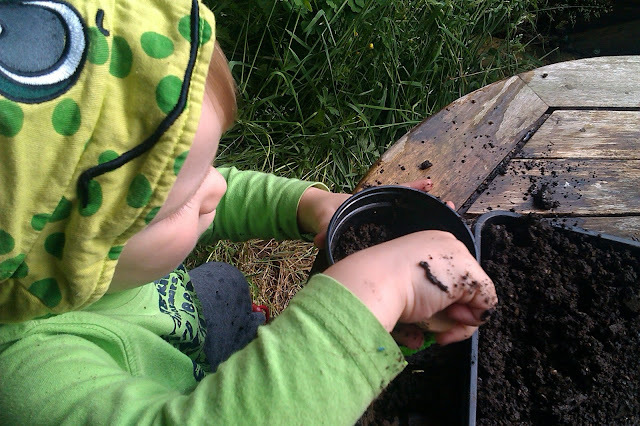 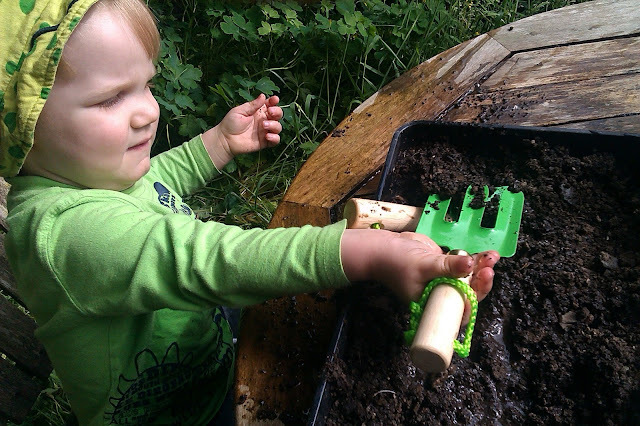 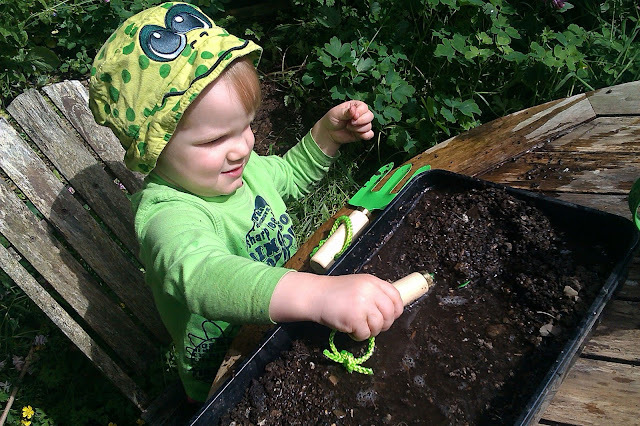 He had lots of messy fun playing with the water sodden soil and his little trowel and fork. 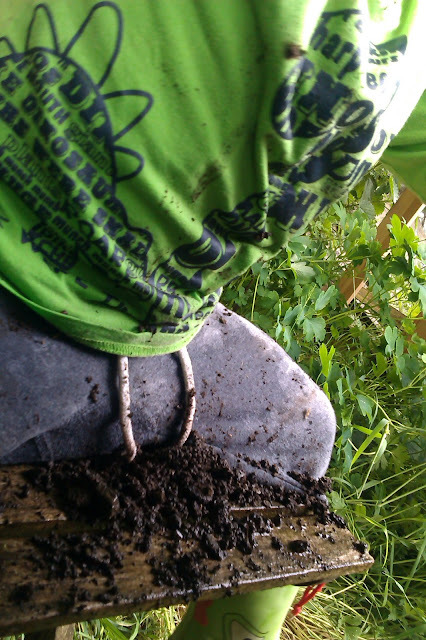 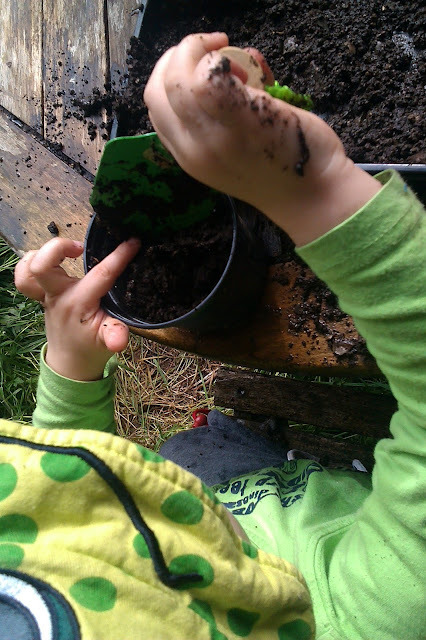 He loved filling in plant pots with soil using his trowel and fork. 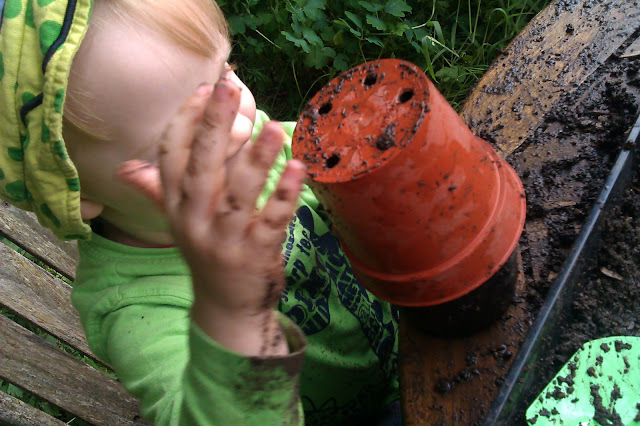 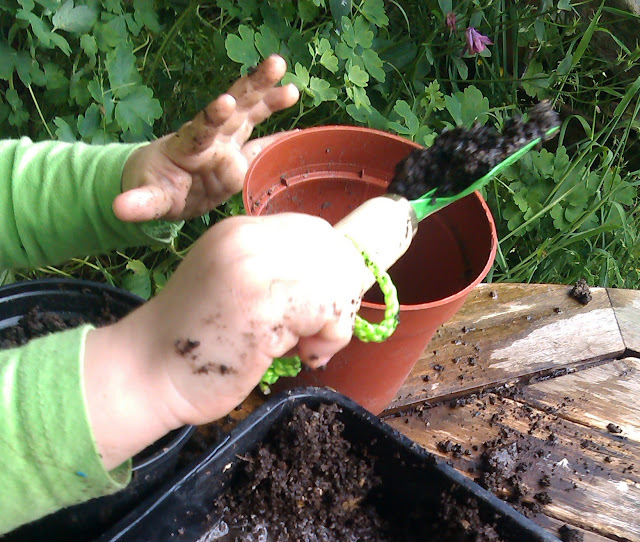 Before getting to the serious business of planting seeds Bug had lots of mucky fun filling the pots with soil and tipping the soil from one pot to another. 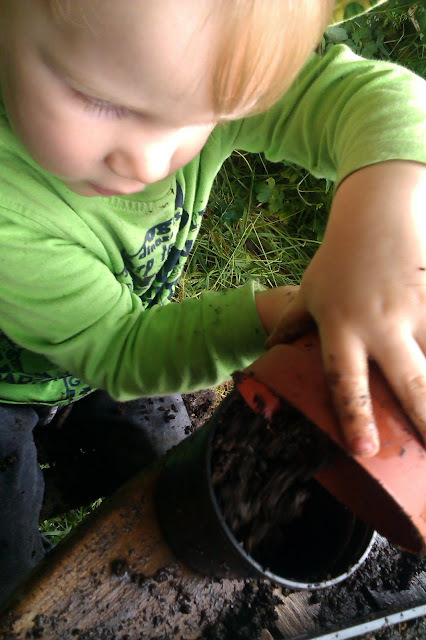 After lots of fun playing with the soil he filled a number of pots with soil ready to plant seeds. 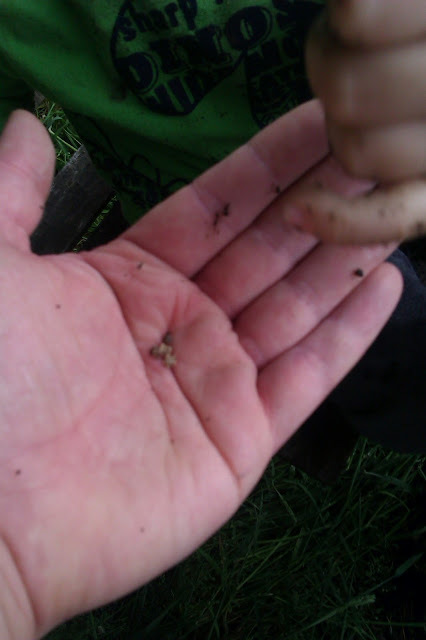 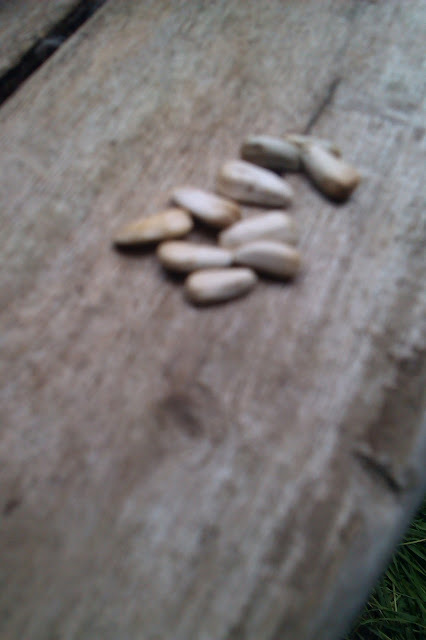 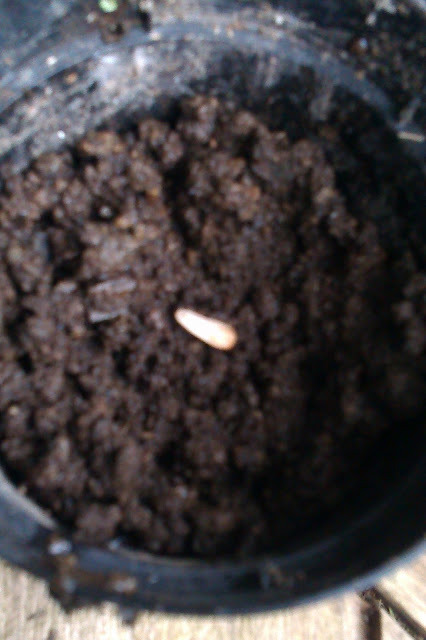 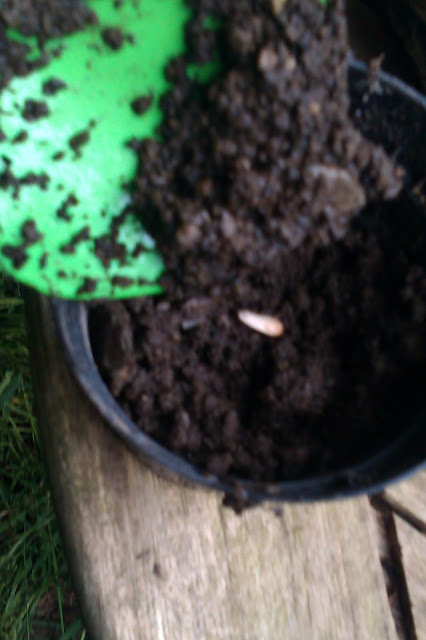 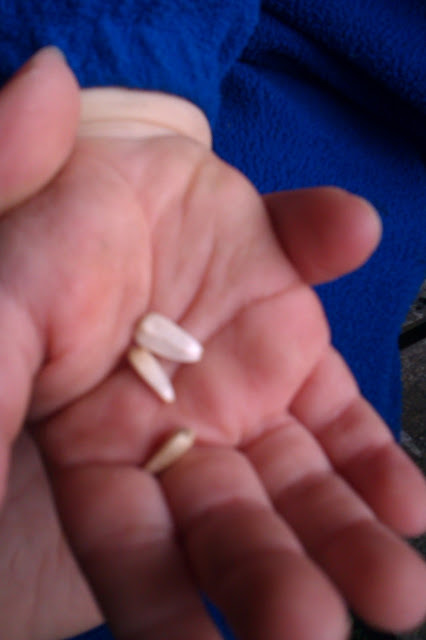 Bug was very intrigued with the seeds and loved putting them to bed in the soil to sleep before they start to grow big and strong out of the soil. 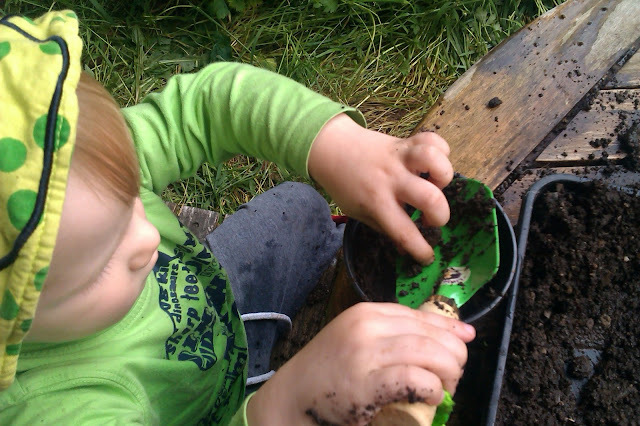 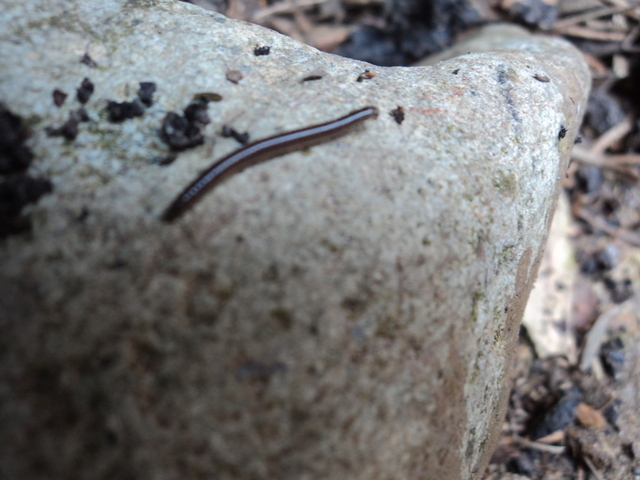 As well as playing with soil and planting seeds Bug investigated the garden on the search for critters and creepy crawlies. 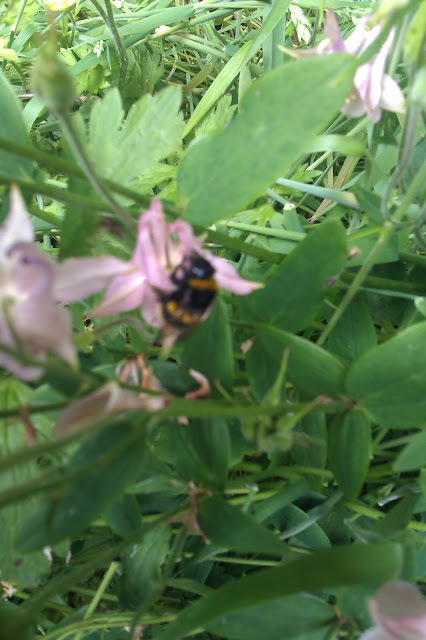 He was delighted at finding little creatures and loved the bumbling noise from the big bumble bee buzzing around the flowers. 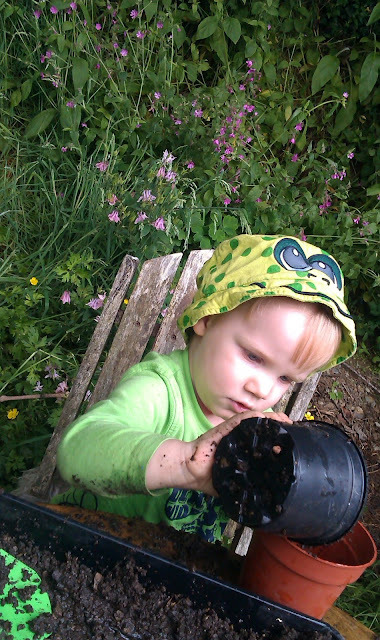 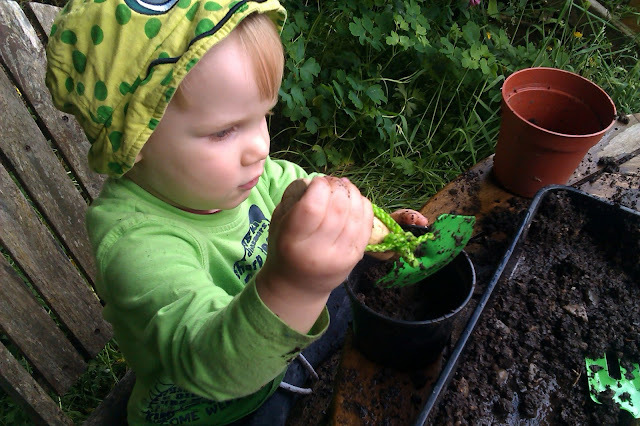 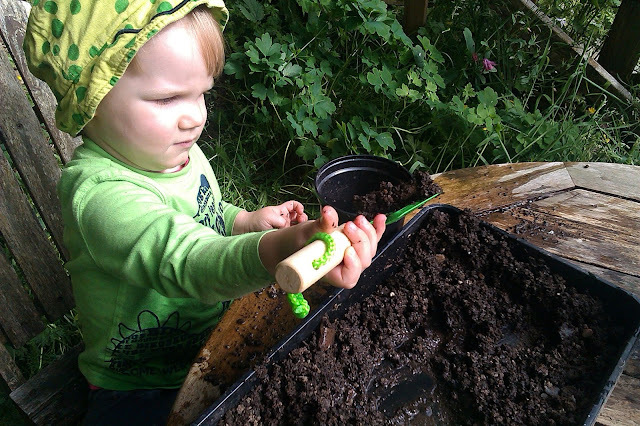 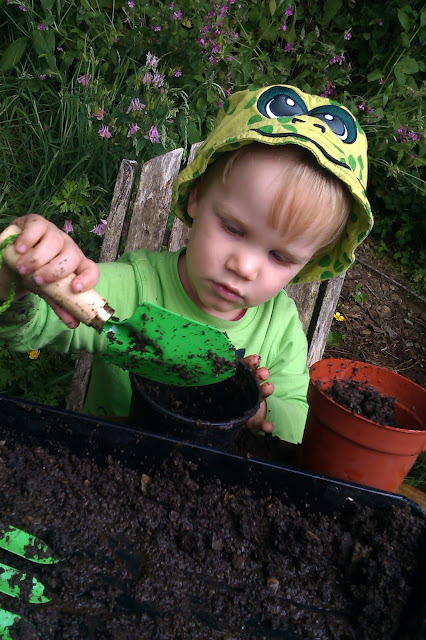 Bug had lots of green fingered fun and loved being muddy. 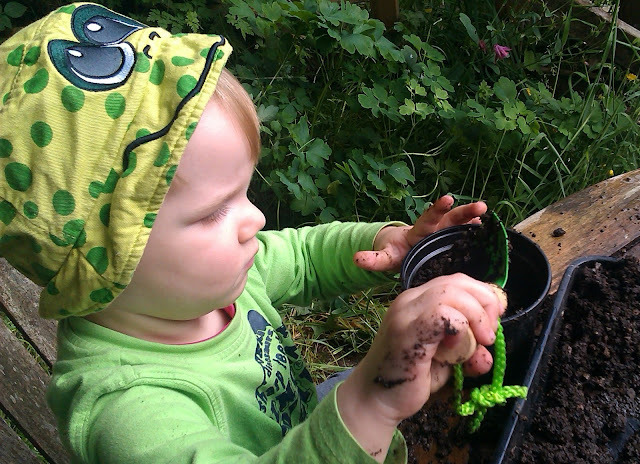 Our first little foray with his new gardening kit was lots of fun and I have high hopes for lots more green fingered fun over the years with Bug and his cute little gardening kit.